In a country synonymous with spectacular, the Peruvian Andes provide a spectacular backdrop for a trekking holiday in Peru. Take day walks through beautiful villages and rolling hills, hike multi-day trails from lodge to lodge in the mountains or embark on longer treks staying in remote camping spots. 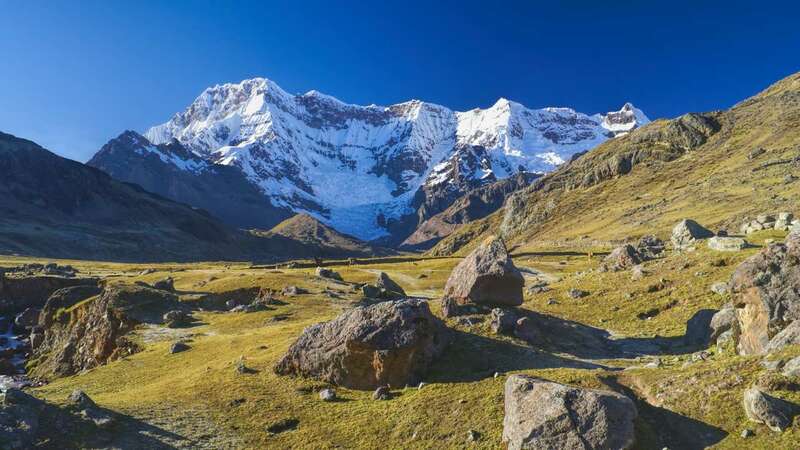 The imposing Cordillera Blanca and Cordillera Negra mountain ranges, accessed from the city of Huaraz in Central Peru, are favoured by those trekkers wanting high mountain walks with incredible views of snow covered peaks. The Cordillera Huayhuash circuit, made famous by Joe Simpson’s book, Touching the Void, is one of the finest high altitude trekking routes in the world. Southern Peru has many wonderful and varied walks, the most famous of which is the Inca Trail. 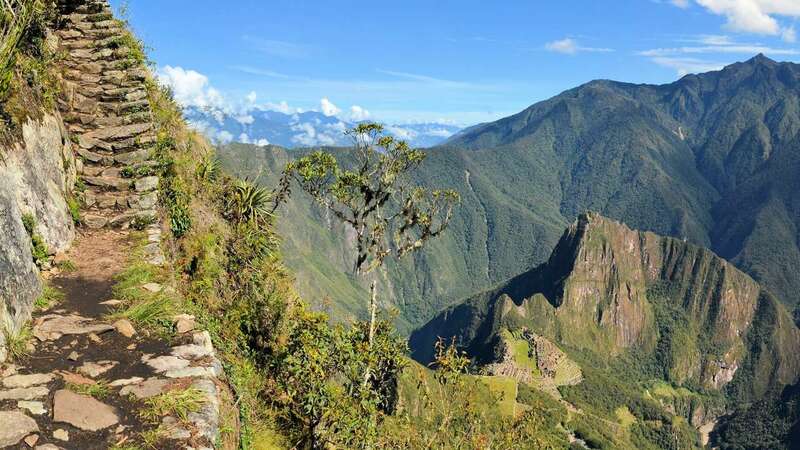 There are 500 permits per day issued for the Inca Trail which sell out fast, particularly during the high season (May – October) . If you’ve missed out then do not despair as there are plenty of alternative trails which can be just as good if not better – and don’t have the crowds. Below is our selection of the best treks in Southern Peru. This walk is popular for a reason - it is spectacular and has it all. Mountains, wildlife, ruins and of course Machu Picchu itself make the Inca Trail the most popular trek in Peru. Walk along original Inca trails over windswept mountain passes, through lush tropical jungle, past bustling villages and remote ruins. The climax of the trek is arriving at the Incan citadel of Machu Picchu – a powerful incentive to keep going when the altitude slows you down. We suggest doing this walk over five days which means the pace is slower and you can avoid the crowds. Stay at quiet camp sites away from the masses, arrive at Machu Picchu at the quietest time of day in the late afternoon and get a further full day at the citadel the following day. Prices start from £1195 per person for five day small group trek. This can also be walked on a private basis. A beautiful five day trek through high mountains and an alternative walk into Machu Picchu. This trek goes past glaciers, over Salkantay pass at 4650m before heading down into tropical coffee growing areas. Visit Llactapata, an Inca site that has only recently been excavated with unique views of Machu Picchu and few other visitors. The trek ends at the base of the mountains upon which the citadel sits. The following day take a guided tour and explore the ruins. This walk can be done camping along the way or staying in remote comfortable mountain lodges. Perfect for those wanting a little more of a challenge than the classic Inca Trail or for trekkers seeking a path less trodden. Prices start from £1195 per person for the five day walk in a small group, it can also be walked on a private basis. Experience Peru as it was in Incan times, on a stunning five day trek through remote villages. On this walk, travel through beautiful mountain scenery, meet traditional mountain communities and visit little known, deserted ruins. Life in this area is simple subsistence living with days spent tending to alpaca, llama and crops. Quechua is still spoken, the language of the Incas, and traditional red ponchos woven by hand are worn. Relatively few people trek in this area so trails are quiet. End in the town of Ollantaytambo and catch the train to Machu Picchu for a full day of exploration. This walk can be done camping along the way or staying in remote mountain lodges. A good option for families as there is vehicle access along the way and walks can be as long or short as desired. Prices start from £1195 per person on a small group basis for the five day trek, the trek can also be on a private basis. A challenging yet hugely rewarding seven day trek. 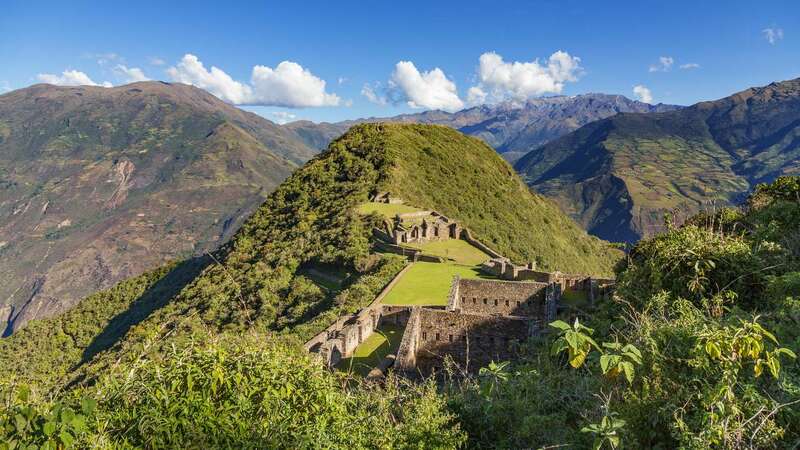 This trek connects three fantastic Inca sites all discovered by Hiram Bingham over a 100 years ago - Choquequirao, Llactapata and Machu Picchu. This trek has big climbs and descents and walks along old Inca trails traversing the entire Vilcabamba range from the Apurimac to the Urubamba river. Choquequirao is a huge Inca ruin which very few people visit due to its location. It is bigger than Machu Picchu, has less visitors in a year than Machu Picchu has in a day and large areas of the site remain covered in vegetation. There is a full day to explore Choquequirao, before moving on to the recently cleared Llactapata ruins and your first view of Machu Picchu. The final day is spent visiting the ruins at Machu Picchu. Prices start from £1885 per person for the seven day trek on a small group basis, it can also be on a private basis. This is a stunning five day trek around the 6,384 metre snow covered Ausangate massif, considered to be a mountain spirit by the Inca. 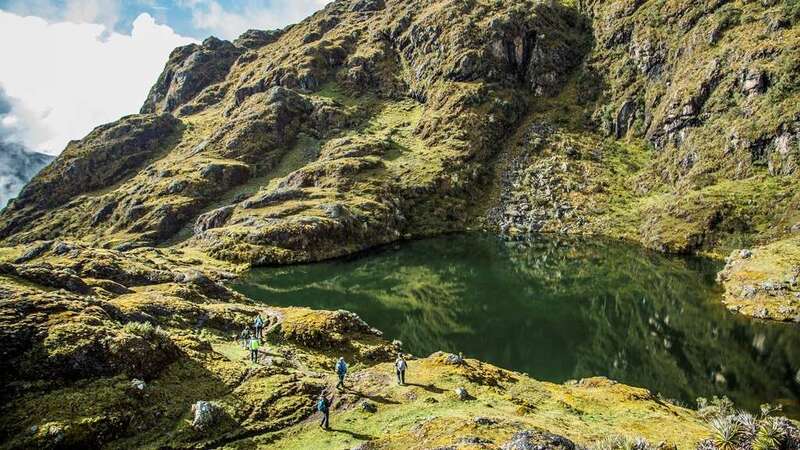 This is a circular walk with three high passes over 5,000 metres, amazing views, big snowy mountains, hot springs, waterfalls and colourful lakes. The only people you will see on the trek are locals in traditional, colourful clothes when you pass through remote villages. During the walk see alpaca and llama and there is also a chance of seeing condors, Andean foxes and viscachas. Prices start from £1365 per person based on two people trekking on a private basis.